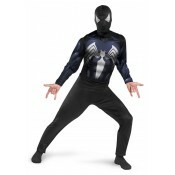 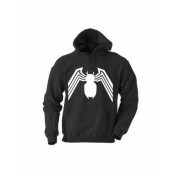 Black-Suited Spider-Man Classic Adult Costume - XL (42-46) Black- Suited Spider-Man Classic C..
A Diamond Select Release! 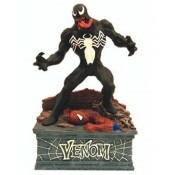 Designed and sculpted by Jean St. Jean! 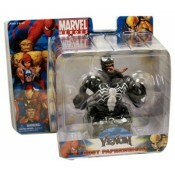 Marvel toy collector.. 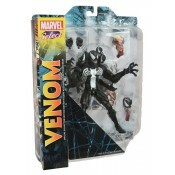 Product Details figure stands at 5.5" .. 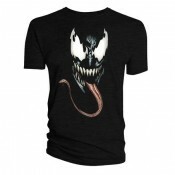 This is a detailed, sculpted resin paperweight bust featuring Marvel Comics Venom in a 6 inch hig..
Spider-Man: Venom Logo - Hoodie Taken over by a vengeful alien symbiote formerly bonded to Pe..
Spider-Man: Venom Logo - T-Shirt Venom is the ultimate Marvel Comics anti-hero: an incredibly..
Spider-Man: Venom Tongue - T-Shirt Eddie Brock was a regular reporter and Peter Parker's riva.. 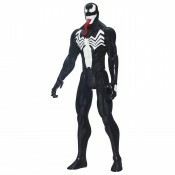 Manufacturer: HASBRO Product Group: SPIDER-MAN Product Name: SPIDER-MAN TITAN HERO SERIES..
Everything Spider-Man hates is out to get him! 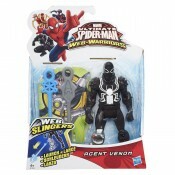 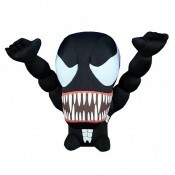 This paperweight celebrates the alien symbiote tha..
Venom Super Deformed Plush Four of Marvel Comics' most popular characters are read..